Hywel is founder of businessfruit. He is committed to working with organizations, teams and individuals to help them maximize business performance. Hywel has been a specialist in strategic learning and development since 1990 and over the last 19 years Hywel has designed, delivered and facilitated many events for a broad range of multinational clients worldwide. 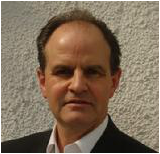 Hywel is accredited to run several transformational workshops and he draws from a portfolio of key instruments that support personal, team and leadership development. He is a de Bono's Six Thinking Hats and Simplicity trainer, a Buzan Licensed Instructor, an accredited Writing Dynamics and Think On Your Feet instructor. He also is an accredited Smarter Selling and Exercising Influence trainer. He is certified to use instruments that include: Insights Discovery, MBTI, TMS, DISC, QO2. Rebecca is an experienced corporate trainer and facilitator who brings a new dynamic to thinking, creativity and communications skills in the workplace. Rebecca has taught at all levels of organisations from front line staff to managing directors across Europe and Australia. Her extensive experience extends to the private, public and not for profit sectors. Rebecca is licensed to deliver Think On Your Feet, Writing Dynamics, a variety of Creativity Workshops including Your Critical Path to Innovation, RapidConsensus, Dr Edward De Bono's Six Thinking Hats and PassionWorks!. She also facilitates using tools such as Open Space Technology, Rapid Consensus and Dr de Bono's Focus on Facilitation which incorporates Six Thinking Hats and Lateral Thinking. Dr. Jill Walker is a business psychologist with 17 years experience who conducts personal development and leadership training to realize people's potential. Jill's courses are designed to give people the psychological edge to succeed. Highly experienced at tailoring courses to suit all levels and types of audiences, her style is very interactive with a mixture of lecture, discussion, self-assessment and real-world exercises. Jill runs the Leadership and Personal Development programs on the MBA and the MSc in International Business at the Business School at Trinity College Dublin. She is also an experienced business coach and offers coaching on a one-to-one basis across a full range of areas. In addition Jill conducts facilitation sessions with teams and groups and is an accredited user of the MBTI, EQi and PDI Profiler (360 feedback). Bart Provost brings more than 12 years experience in the marketing field to his focus on training, facilitation and coaching. As an executive coach he works with professionals in multinationals, government and education. He has been guest professor at the Lessius college for more than 8 years. He facilitates in Dutch, French and English. Bart is an adept facilitator with a contagious enthusiasm which places the needs of his customer always first. He is certified in MBTI, Mind Mapping, Situational Leadership, REBT Rational Emotive Behavior Training and Thought Provoking Dialogue. He gives training in MBTI, communication, leadership, coaching, MindMapping and productivity. Keith is a qualified CIMA accountant and has nearly 20 years of experience in a variety of international roles in Finance including GE and William Grant and sons (makers of Glenfiddich Whisky). Keith delivers the programs Think on Your Feet and The Coaching Clinic, a course developed by Coach U to bring the coach approach into the office. Finance for Non-financial Managers can be designed and delivered working the client's own material and customized to suit the audience. As an HR Consultant Stephanie has worked with all different kinds of organizations from SME to large multinationals. Projects included the design and implementation of Leadership programs for Middle and Senior Managers based on the Hogan Assessment, Induction Programs, Presentation skills and Coaching. Stephanie stands out for her practical approach when facilitating programs and working with managers on their personal development. She has conducted numerous 360 feedbacks with mostly Senior Managers. Stephanie is certified in development instruments such as MBTI, Hogan Assessment, 360 feedback.